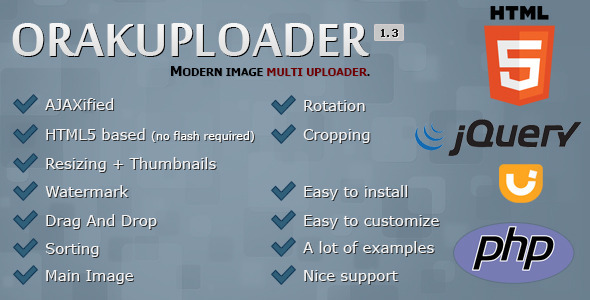 OrakUploader is a new, modern image multi uploader, offering a wide variety of functions. Itâ€™s based on HTML5, so it does not require flash. Easy to implement and use.